41 rooms. Smoking/Non-Smoking. Complimentary continental breakfast. Pool. 72 rooms. 100% Non-Smoking, Queen, king and queen-queen beds. Complimentary continental breakfast. FREE wireless Internet. FREE local and long distance (US) calls. Refrigerator in rooms. AAA, AARP, corporate and group discounts available. 25-inch TV with remote; free HBO, ESPN, USA, and CNN. Complimentary USA Today newspaper. Restaurants and service stations within walking distance. Parking available for buses, RVs, and truckers. Exterior corridors. Choice Privileges Reward program (earn valuable points toward free hotel room nights, airline miles and more). 42 rooms. King and Queen sized-rooms. Smoking/Non-Smoking,. 25-inch full cable TV with HBO and Cinemax in rooms. Free local calls. Corporate and group rates, microwaves, coffee makers, hair dryers, Jacuzzi suites and micro-fridges available. Complementary high speed wireless Internet access. Pass to local health club. Special needs rooms. AARP discounts. Complimentary continental breakfast. 1632 J A Cochran Byp. 31 rooms. Smoking/Non-Smoking. One Jacuzzi room and one kitchenette. 22 rooms, 2 suites. Smoking/Non-Smoking. Meeting facilities. Complimentary continental breakfast. AAA approved, AARP discount. 23 rooms featuring refrigerator and microwave in each room Truck parking available. 102 spacious guest rooms. and studio suites, including accessible rooms. It is located near golf courses, historic sites, sports venues, parks and family-friendly activities. Guests can walk to the restaurants and specialty shops of Baxter Village. Amenities include an outdoor pool, a patio, convenience shop and business center, a stylish boardroom and two versatile meeting rooms (accommodating up to 125 guests). Included in every stay: free hot breakfast, clean and fresh Hampton bed®, free WiFi access in every room, and gym/fitness center use. 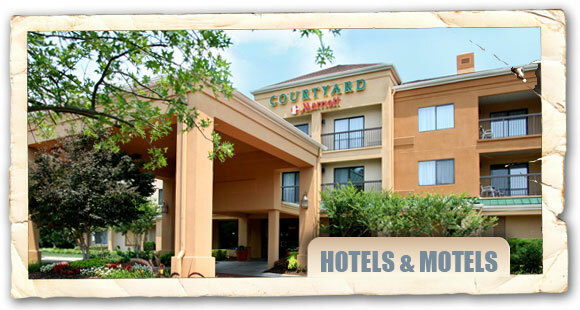 Business travelers will appreciate the central location along I-77 (Exit 85). Brand new 70 room hotel (Scheduled to open in January 2019). Breakfast area, an indoor swimming pool, top-of-the line fitness center, meeting space and a gift shop. 163 rooms. Non-Smoking. Deluxe Jacuzzi suites. Meeting room (up to 50 people). FREE deluxe continental breakfast, local phone calls, and high speed Internet. In room amenities include coffee makers, irons, ironing boards, voice mail, and two phone lines. Business center and fitness center available 24 hours. Outdoor swimming pool. Adjacent to shopping and several restaurants. Enjoy a number of amenities including family friendly accommodations, an outdoor swimming pool, boardroom, laundry room and a well-equipped fitness center. With the most modern design package, all guestrooms are aimed to give a sense of contemporary comfort featuring a mini fridge and a microwave. Free Wi-Fi internet access throughout the hotel. Fuel up with the complimentary express breakfast with an assortment of breakfast options; healthy as well as our famous Cinnamon Rolls or enjoy coffee and tea in the Perfect Mix Lobby, featuring a large community table and a cozy, stylish atmosphere. 65 rooms. Smoking/Non-Smoking room and suites. Complimentary breakfast, outdoor pool, fitness center, high speed internet access, refrigerator, microwave, coffeemaker and dry cleaning pickup/laundry. (Scheduled to open September 2018). Features 93 rooms of suites, executive suites, doubles and kings. Amenities include a scene-sitting lounge, modern fire pit, an outdoor swimming pool, a hot tub, a kitchen for breakfast, business center, and a very inviting lobby for entertainment and small gatherings. This 22 room property offers smoking and non-smoking rooms, with three different room types: single king, double full or double queen. Free WiFi is provided throughout the property. Every room features amenities like a 39-inch flat screen TV, a microwave, and a refrigerator. Coffee is available on request. Conveniently located off Hwy. 21 and 9. I-77 is just 9 miles away, making it easy to visit local attractions and destinations such as Landsford Canal State Park, Lancaster & Chester Railroad Museum, Olde English District Market, and The Gateway Conference Center.